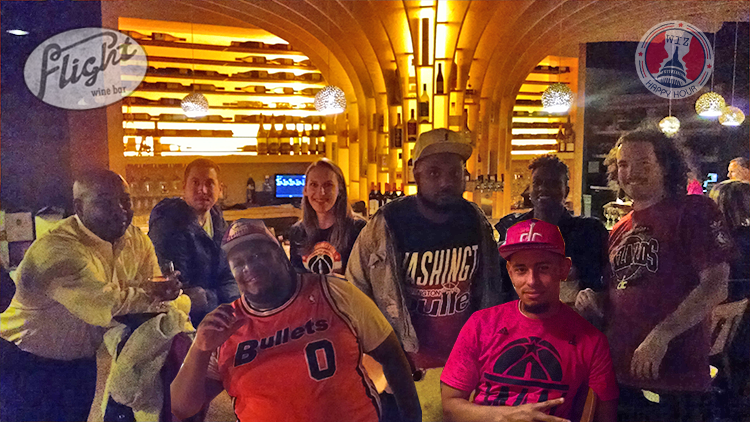 On Wednesday night the San Antonio Spurs were in town and a great group of Wizards fans met up at Flight Wine Bar on 6th street for some pregame food & drinks before an epic Bradley Beal buzzer beater. We had a great time talking basketball and experiencing one of the underrated Wizards pregame spots in the neighborhood. After the game we met up for our first real Victory Toast of the season as well. (Event Photos). Flight is just a block away from Verizon Center and is a low key meetup spot. The atmosphere is sophisticated yet causal and many of the groups there were just 2-4 people. However with our big group of fans we still had room to stand around the bar area. 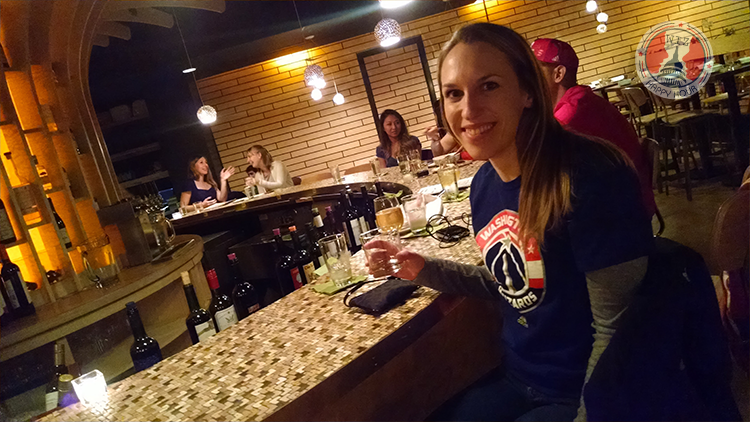 Their happy hour features $5 draft beers, $7 wine and snacks for $5-$7. The game was awesome and despite Verizon being overtaken by Spurs fans, Wizards fans stepped up in the end and when Bradley Beal sunk the game winning 3 point Dagger, the place went nuts. 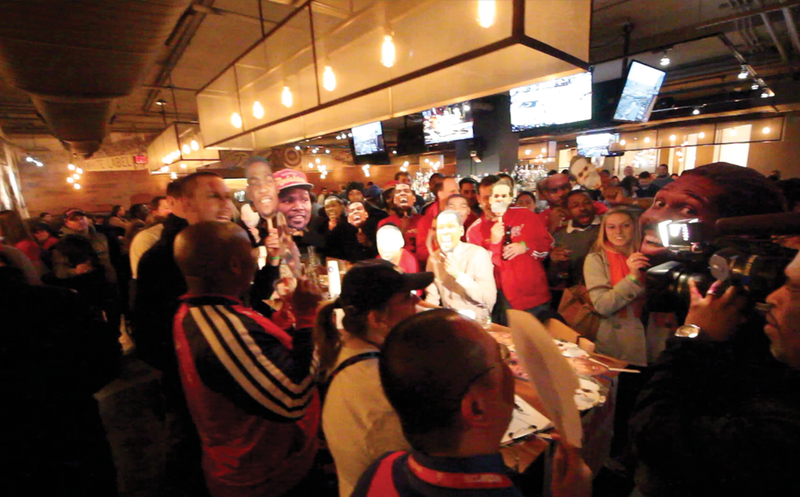 After the game more Wizards fans met up for our first Victory Toast of the season at Penn Commons. 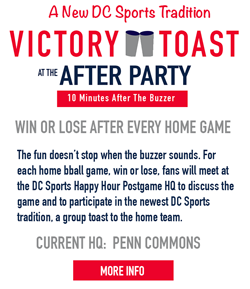 This is going to take place 10 minutes after the buzzer sounds after every home game (more info). Overall it was one heck of a night. Hope you can make it next time!